27371 Allyssa Millie: Catchin’ up! Lieutenant-Commander Michael Vanderpool is a professor for the department of Military Psychology and Leadership. Originally from Montreal, Vanderpool did his BA at Concordia University, and completed his Masters degree at St. Mary’s University where he is also currently a PhD candidate. 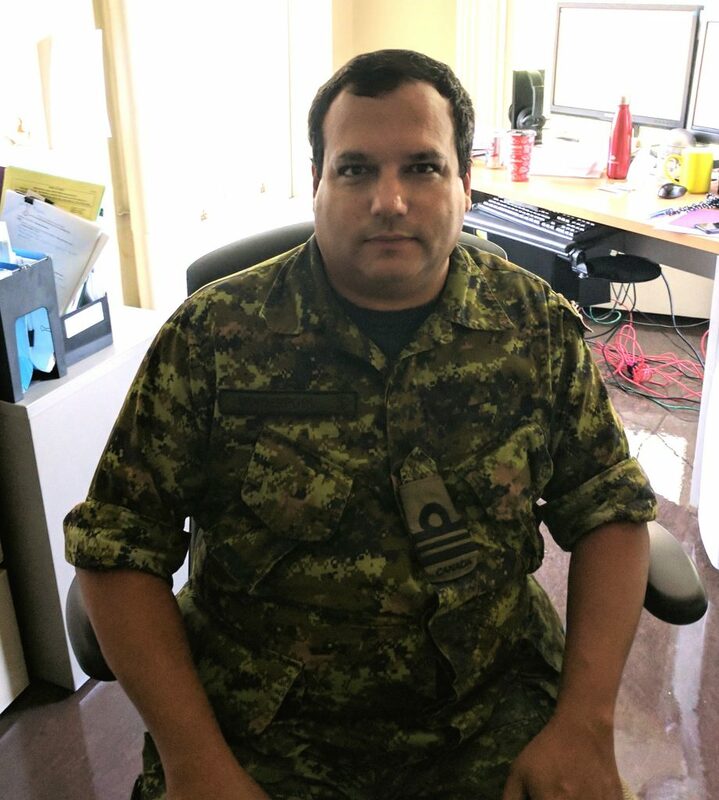 Vanderpool joined the Canadian Forces in 1990. With a clear interest in psychology and leadership, Vanderpool chose to relate his studies to his career. He completed his Masters degree by researching the CF aptitude test to determine whether or not there was a bias against aboriginals. He was aware that there was a feeling among the communities that indigenous people would do poorly compared to the rest of the population because of said bias. He found that although there were some biases against them, there were an equal number of biases for them. He came to the conclusion it worked out to be fair in the end. Another interesting topic, Vanderpool is researching the dark traits of leadership for his PhD. Apparently a lot of great, successful leaders show traits that the rest of society may deem inappropriate, such as a lack of empathy. Now in his third year of teaching at RMC, he says that teaching is something he’s wanted to do in his career. When he started his PhD he wasn’t sure what he wanted to do with it, but being here was on his list. Vanderpool is enjoying his time here in Kingston and has enjoyed events such as the FYOP obstacle course, grad parades, etc. He gets a lot of pleasure and joy out of teaching and feels like he is able to impact the outcome of future leaders for the CF. He would love to stay on teaching at the college for as long as he can. 27469 OCdt Adam Abdelhamed, will be beginning his third year in the Aeronautical Engineering program at RMC this fall. Graduating with the class of 2019, Abdelhamed is hoping to become a pilot. This summer, Abdelhamed is doing an OJE (on the job experience) at RMC, working in the library. He is working on library consolidation. They are re-arranging the library in order to create more space for a study area in the library. Many books are moved from the first floor to the basement of the library. He is enjoying everything the college has to offer. Although there are many experiences to choose from, Abdelhamed especially enjoyed his last tae kwon do tournament where he surpassed his own expectations and won gold at the end of the school year. Next summer he is hoping to go on preliminary flight training (PFT). 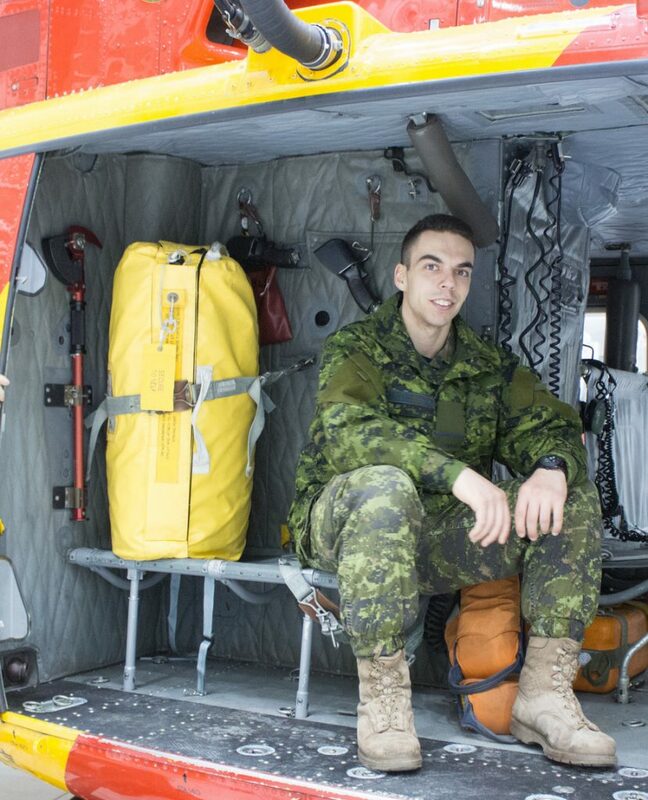 Further on down the line he is hoping to eventually get posted to 443 maritime helicopter squadron on Vancouver Island to work with the Cyclone helicopters.